LVMH Moët Hennessy Louis Vuitton, the world’s leading luxury products group, recorded revenue of €29.1 billion in 2013, an increase of 4% over the previous year. Organic revenue growth was 8%. The Group maintained good momentum in the United States and Asia, and continued to grow in Europe, despite the challenging economic environment. With organic revenue growth of 8%, the fourth quarter performance was in line with the trends seen in the first nine months of the year. Profit from recurring operations rose to €6 021 million, an increase of 2% over the strong growth recorded in 2012. Current operating margin reached 21%. Group share of net profit was €3 436 million, in line with 2012 which included a special dividend. The Wines & Spirits business group recorded organic revenue growth of 6% in 2013. Profit from recurring operations increased by 9%. In an environment marked by good momentum in Asia and the United States, and a contrasted market in Europe, the business group continued to reap the rewards of its value creation strategy: a focus on the high-end range, a strict pricing policy and a strong dynamic of innovation. Champagne saw sustained demand for its prestige vintages. Sparkling and still wines from Estates & Wines recorded solid performances. Hennessy cognac’s growth was driven by the American market. Glenmorangie and Ardbeg whiskies recorded rapid increases in volumes. Momentum across all brands was supported by Moët Hennessy’s powerful and flexible distribution network and sustained investments. The Fashion & Leather Goods business group recorded organic revenue growth of 5% in 2013. Profit from recurring operations decreased by 4%. Over the year, Louis Vuitton maintained its exceptional level of profitability while continuing its quest for excellence with regard to its products as well as its distribution. Among the year’s innovations, the Capucines model in leather and the W bag, which revisits the iconic Monogram canvas, both achieved great success. Creative momentum at Louis Vuitton was maintained with the arrival of Nicolas Ghesquière as artistic director for its women’s collections, following the move of Marc Jacobs to focus on his eponymous brand. Fendi continued to focus on its high end products and the qualitative expansion of its distribution network. Céline recorded a remarkable performance, reaching a new record in its sales. Other fashion brands such as Kenzo, Berluti and Givenchy continued to strengthen as they harness their creative flair. The Perfumes & Cosmetics business group outperformed the market by recording organic revenue growth of 7%. Profit from recurring operations increased by 2%. Parfums Christian Dior continued its momentum and gained market share. The continued vitality of flagship lines like J’adore, which strengthened its market leadership notably in France, and Dior Homme, the international success of Rouge Dior and the development of the skin care Prestige, are remarkable. Guerlain continued to grow, supported by its fragrance La Petite Robe Noire and the rapid progress of Orchidée impériale. Benefit recorded a further year of strong growth. Make Up For Ever and Fresh both achieved particularly strong performances in Asia. 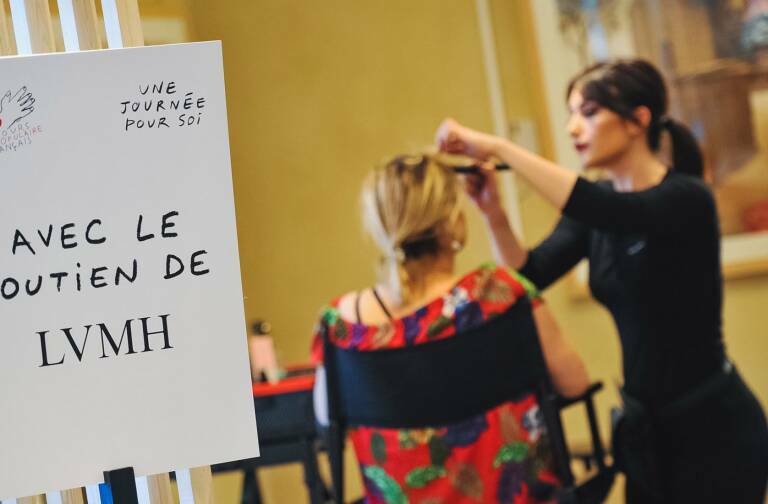 The inauguration of the Hélios research centre at Saint-Jean-de Braye and the reopening of Guerlain’s iconic boutique at 68, Champs-Elysées, were some of the major highlights of the year. The Watches & Jewelry business group recorded organic revenue growth of 4% in 2013. Profit from recurring operations rose 12%. An excellent performance in the directly owned boutiques, where the network continues to expand around the world, contributed to strengthening the image of the brands and the quality of their distribution. 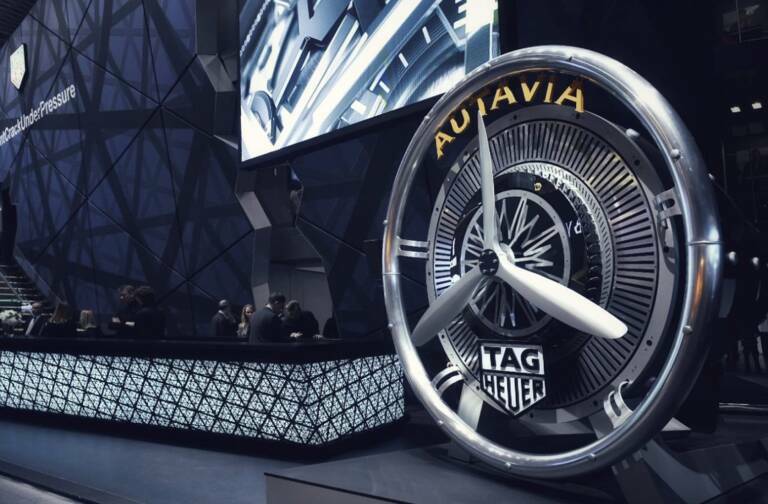 The LVMH watch brands continued to invest in innovation and development of industrial capacity, such as the new TAG Heuer movement manufacturing facility. In Jewelry, the success of Bulgari’s Serpenti line was confirmed and the new high-end jewelry Diva collection achieved excellent results. Presence in multi-brand stores continues to be more selective. The Selective Retailing business group recorded organic revenue growth of 17% in 2013. Profit from recurring operations increased by 6%. DFS recorded further strong sales increases, notably reflecting the first full year’s integration of three new concessions from the end of 2012 at Hong Kong International airport – each having been the focus of significant investment in upgrading works. The destinations of Hong Kong and Macau maintained strong commercial momentum while the weakness of the Yen reduced the spending power of Japanese travellers, notably in Hawaii. Sephora continued to achieve an exceptional performance and gained market share across all its regions. Online revenue is growing well. Innovation, increased personalization of customer relations, and strengthening of service offerings, both in store and online, are at the core of Sephora’s strategy. Sephora’s exclusive offering has been notably enhanced by the new Marc Jacobs cosmetics line. Sephora continues to expand and upgrade its distribution network around the world and opened its first store in Thailand, a new territory. 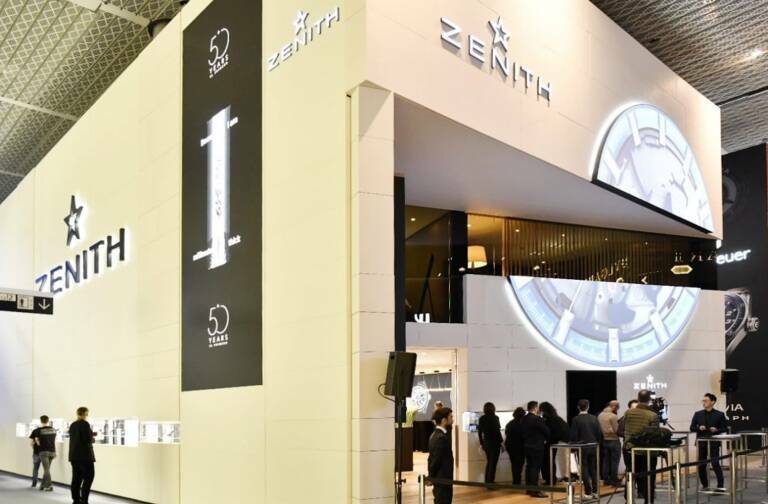 Despite an uncertain economic environment in Europe, LVMH is well-equipped to continue its growth momentum across all business groups in 2014. The Group will maintain a strategy focused on developing its brands by continuing to build on their savoir-faire, as well as through strong innovation and expansion in fast growing markets. Driven by the agility of its organization, the balance of its different businesses and geographic diversity, LVMH enters 2014 with confidence and has, once again, set an objective of increasing its global leadership position in luxury goods. At the Annual Shareholders’ Meeting on April 10, 2014, LVMH will propose a dividend of €3.10 per share, an increase of 7%. An interim dividend of €1.20 per share was paid on December 3 of last year. The balance of €1.90 per share will be paid on April 17, 2014.